PURA warrants all new products to be free from defects in material and workmanship. PURA systems are warrantied for 3 years from the date of purchase except electrical components which are warrantied for 1 year. 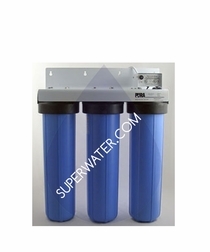 Filters are not warrantied due to varying water conditions. This warranty agreement excludes all products or component parts that, in the opinion of PURA, have been subjected to negligent use, misuse, or alteration, or that have been repaired with component parts other than those manufactured or supplied by PURA. This warranty gives the buyer specific rights. These rights vary from state to state. 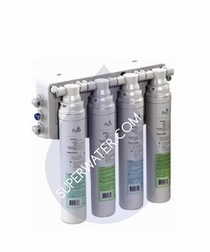 Pura water filters are industry leaders in the field of commercial ultraviolet water disinfection systems. 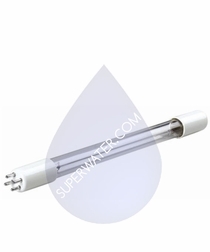 The Pura UV AddOn Series is designed to be an easy addition to existing water treatment systems that need ultraviolet disinfection such as RO systems, holding tanks, water dispensers, reticulation systems and more. 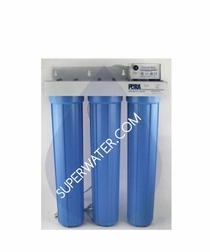 These crucial systems are everywhere, and Pura water filters are designed to deliver optimum disinfection performance. 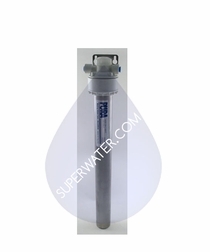 These products are built using a 304 grade stainless steel body and includes 3/8" John Guest� quick connect fittings on the inlet/outlet. This versatile Pura system comes complete with a heavy duty mounting bracket or will fit standard 2" RO mounting clips. This system can be used and mounted almost anywhere and is equipped with a unique power supply that makes installation simple, space requirements minimal and lamp changes easy. 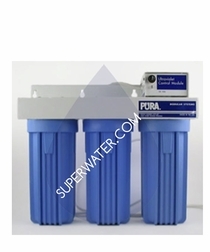 Implement Pura water filters and note the difference in purity and taste that quality construction makes.